Now that the weather is warm you most likely have your schedule loaded with parties and other plans. 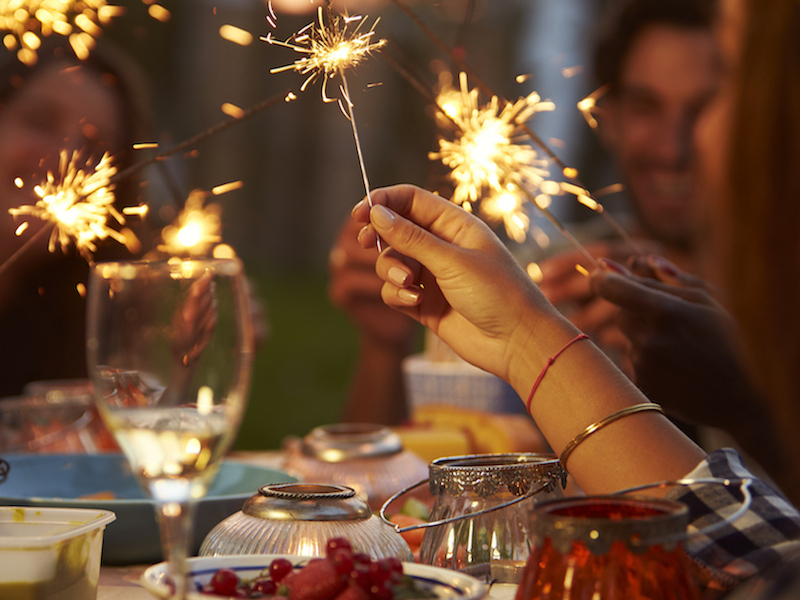 It’s almost The Fourth of July and nearly everybody you know will be outside celebrating. You love to go to live music events, parades, marching bands, and of course-fireworks. When going out to celebrate this holiday season, don’t miss out on the good times, just take a minute to carefully consider how you should protect your hearing. Noise-induced hearing loss affects nearly 6 percent of the U.S. adult population below the age of 70; that equates to around 40 million people. The sad part is this type of hearing damage is nearly 100 percent avoidable. It just takes a little forethought and good sense. Take into consideration some reasons you really should protect your ears as you have fun this season and how to do it. FireWorks are the Loudest of all. There are many potential dangers of fireworks but hearing damage tops the list. Hearing damage is not mentioned much by experts, but it tops the list of dangers associated with fireworks. Boys Town National Research Hospital states you’re at risk of hearing loss from fireworks regardless if you’re shooting them off yourself or watching them at a public show. With extensive exposure, any sound over 85 decibels can cause noise-related hearing damage. Fireworks typically range from 150 to 175 decibels. The World Health Association estimates that adults could withstand up to 140 decibels of sound for a short time, but children will surely have damage at just 120. Fireworks are usually louder than both those numbers. The good news? Your risk of hearing loss is reduced the further you are away from the explosion. Watching the fireworks show from nearby is definitely more damaging than watching them from your porch at home. If you are an adult it is recommended that you stand at least 30 yards away. Babies should not be there and children should be at least 70 yards away. Who doesn’t? And summer celebrations bring out some of the best musicians in the world! The World Health Association states that a billion teens are at risk for hearing loss from music whether it is coming from ear-buds, a parade or a favorite band playing on stage. Hearing loss is a constant factor when it comes to repeated exposure to loud music. Live shows are usually louder than 100 decibels which becomes dangerous after only 15 minutes. It’s safe to say; most people attend concerts for longer than that! At celebrations, crowd noise is usually the most underestimated hearing danger. At a good event, there will be people on all sides of you shouting to talk over everybody else. The American Speech-Language-Hearing Association claims that crowd noise at sports games ranges between 80 to 90 decibels. Unfortunately, it will quite possibly be higher and more consistent at a parade or celebration. Will there be loud music? You can make some practical choices based on what you expect from the celebration. If there is loud music or crowds, plan on wearing ear protection. Something simple like foam earplugs will allow you to hear what’s going on still, but at a safe level. You will want to keep your family back at a safe distance at a fireworks show. The nature of fireworks means you can enjoy them without being in the front row. A block or two away is the safest minimum distance. It can also be more enjoyable to be a little further back where the crowds are less. There is more to talk about here than just sound. Celebrations bring with them hot sun, too much drink, too little water and fatigue. If you already have some hearing loss or if you suffer from tinnitus, these things will get worse. Try to take it easy. Maybe consider starting a bit later if you plan on partying into the night. Always drink plenty of water and try to moderate your alcohol consumption. Getting out of the heat for short periods is essential. Can you find some shade? Is there an air-conditioned building nearby? Celebrations come and go but your ears are a one time deal. Enjoy the holiday but be sure to protect your ears also. If you are worried that you may have already suffered hearing damage it is important to schedule an appointment with a hearing care specialist.